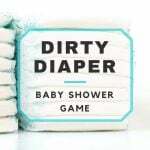 One of the surest ways to get your baby shower guests all fired up and excited about the games and activities is to have exciting game prizes. 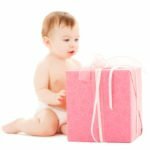 If you set up a table at a very prominent area of the baby shower venue, and showcase the different game prizes that guests can win, then you will probably get enthusiastic participation from most, if not all, of the guests. Bath or Hand Soaps – Soaps are very useful gift ideas. Whether liquid or bar soaps, the variety makes the selection process easy. To be more creative, you can wrap these bath or hand soaps in decorative boxes or wrapping paper, or use nice little baskets. Loaded Candy Jars – Jellybeans, gummy bears or gummy worms, lollipops, mints, M&M’s, Hershey’s Kisses, and other candy or chocolates are literally sweet prizes you can give out for baby shower games. Scented Candles – Another popular item among women of all ages. Candles come in different sizes and scents. You can get a gift basket and stock it with a candle, a candle tin, and a candle lighter for a perfect baby shower prize. Bracelets, anklets, and other accessories – Women all of ages love bracelets and other worn accessories. These don’t have to be expensive gold or silver jewelry; stores such as Target or Bealls have bracelets that look very cute but cost around $10 or less. Bath Lotion – This is an item that most, if not all, women use all the time. The Body Shop and Bath & Body Works are some of the more popular names in scented body lotions. They usually sell smaller bottles of their best-selling scented lotions, or you can take advantage of seasonal sales where you can get discounts on multiple purchases. Gourmet Coffee or Tea – Packs of flavored coffee or tea make great gifts especially if the baby shower will be held around fall or winter. If you are thinking of giving coffee mugs or tumblers as game prizes, throwing in some delectable coffee or tea add value and thoughtfulness to the prize. Most coffee shops such as Starbucks, Seattle’s Best or Coffee Bean & Tea Leaf offer serving-sized packets. iTunes Gift Card – If your guests love music or movies on their mobile devices (they more than likely do), an iTunes gift card can be a great game prize. The only possible drawback would be if someone doesn’t use an Apple product; have Amazon gift cards also so they can pick. Scrapbooking Kit – For mothers who love to spend their free time doing various arts and crafts, this would be a great prize. Make sure the kit has lots of stamps, stickers, stationery, and other scrapbooking essentials. 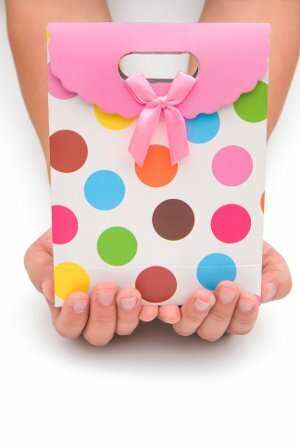 Gift Cards – Sometimes, the best thing to give people is the freedom to let them choose their own gifts. You can get inexpensive, say $5-$10, gift cards from popular places, such as Starbucks, Cold Stone Creamery, Victoria’s Secret, and Target. Your guest will appreciate being able to find something she really needs or wants.